Are Vegetarian Diets Heart Healthy? When individuals declare they are “going vegetarian” we often think they are making healthier dietary choices, but is that always the case? 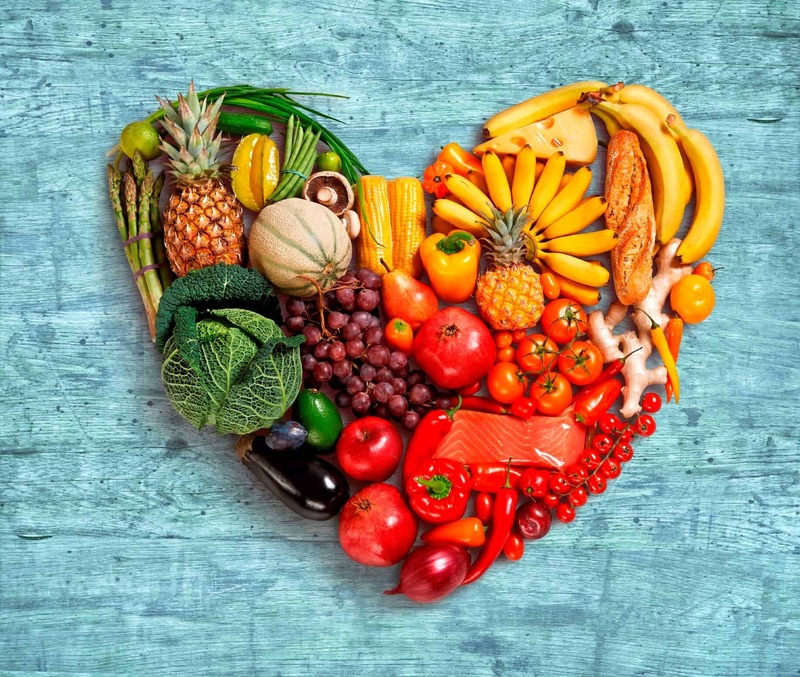 Randomized controlled trials and observational studies of vegetarians generally demonstrate beneficial effects on LDL cholesterol, systolic and diastolic blood pressure and body weight. In some cases, however, trials have demonstrated negative impacts on HDL cholesterol and the ratio of total to HDL cholesterol. Vegetarian diet patterns are generally plant-based (vegan) and may include dairy (lacto-vegetarian) or dairy and eggs (lacto-ovo), and in some cases fish (pesco-vegetarian). It is unknown whether cardioprotective benefits differ between the vegan or lacto-ovo-vegetarian diets. We do know that when vegetarians are compared to non-vegetarians, cardiovascular outcomes are typically favorable. In 1995, Dean Ornish, MD became well-known for his popular book, Dr. Dean Ornish’s Program for Reversing Heart Disease. A very low-fat vegetarian diet was one of the major components of the program, along with exercise and stress management. Ornish demonstrated regression of coronary plaque and improvement in angina symptoms in those following his program. Critics were skeptical of the findings due to the small sample size and limited numbers of individuals who would likely adhere to such a rigorous program. The Portfolio Eating Plan is a vegetarian diet that emphasizes a “portfolio” of cholesterol- lowering foods including soluble fiber, nuts, soy and plant-sterols. A 2011 study in The Journal of the American Medical Association found the Portfolio diet reduced LDL cholesterol as well as low dose statins and did better than a low-saturated fat vegetarian diet. In 2013, the American Heart Association (AHA) and the American College of Cardiology (ACC) published the “Guideline on Lifestyle Management to Reduce Cardiovascular Risk”. The basis for this document was to provide specific evidenced-based recommendations for diet and lifestyle behaviors to support cardiovascular health promotion and disease reduction. The 2015-2020 Dietary Guidelines for Americans (DGA) was closely aligned with the recommendations from AHA/ACC and provided additional evidence for dietary and lifestyle approaches aimed at reducing cardiovascular risk. More recently AHA published a Scientific Statement with recommended dietary patterns to achieve adherence to the AHA/ACC lifestyle guideline. This statement, along with the 2015-2020 DGA, provided details regarding a heart healthy vegetarian dietary pattern alongside Mediterranean and DASH style diets. In all cases, the emphasis is placed on the consumption of fruits, vegetables, whole grains, and nuts. Protein sources for vegetarians may include eggs, legumes, soy products, nuts, seeds and dairy. So, is a vegetarian diet heart healthy? Yes, but it’s not just about avoiding meat; vegetarians, like all who want to eat heart healthy, need to be mindful in selecting nutritious foods and limiting foods and beverages with added sugar, saturated fat and sodium. Eckel RH, Jakicic, JM, Ard JD, et al. 2013 AHA/ACC Guideline on lifestyle management to reduce cardiovascular risk: a report of the American College of Cardiology/American Heart Association Task Force on Practice Guidelines. Circulation. 2014;129 (suppl 2) s76-s99. Jenkins DJ, Jones PJ, Lamarche B, et al, Effect of a Dietary Portfolio of Cholesterol-Lowering Fodos Given at 2 levels of Intensity of Dietary Advice on Serum Lipids in Hyperlipidemia, JAMA 2011;306(8): 831-839. Ornish, Dean. Dr. Dean Ornish’s Program for Reversing Heart Disease; 1995; Random House, NY. US Department of Health and Human Services and US Department of Agriculture. 2015-2010 Dietary Guidelines for American. 8th ed. December 2015. http://health.gov/dietaryguidelines/2015/guidelines/. Accessed May 19, 2017. Van Horn LV, Carson JS, Appel LJ, et al. Recommended Dietary Pattern to Achieve Adherence to the American Heart Association/American College of Cardiology (AHA/ACC) Guidelines: A Scientific Statement for the American Heart Association. Circulation, 2016; 134.